If you plan on being the next Jamie Oliver or Rachael Ray, then you’re going to need the gadgets to go with it. Thankfully, there are so many kitchen gadgets that you can buy that will make your life easier. Blenders will create the perfect smoothies, soup makers will provide you with more soup than you can eat, and electric pepper grinders will be your new best friend. However, there are also many other gadgets out there that you might not have thought of. Yes, these are the kitchen gadgets you didn’t know you needed. Let’s be honest; the world is kind of obsessed with avocados. People will eat avocado on anything, but that doesn’t mean it’s easy to prepare. You have to hope that you don’t slice your finger off when you’re cutting and pitting it, and that’s before you even get to slicing it. Amazingly, this is where the Avocado Slicer comes into play. 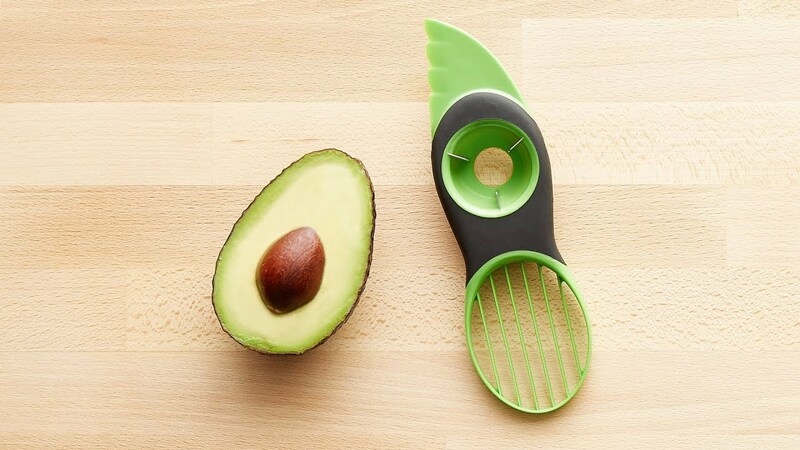 This handy tool will allow you to pit and slice your avocado without any of the danger. You’ll be eating avocado on toast in no time with this gadget. When you’re eating food that is traditionally eaten with chopsticks, you often want to honor such a dish. While there are some people who have no problems with using chopsticks, there are others who aren’t too hot on this eating option. If you’re that kind of person, you’ll be happy to know that the Chork exists. This contraption offers users the chance to use chopsticks, but also change to a fork if they need to. It’s perfect for those who really try, but just can’t quite grasp it. Citrus fruits can be used in so many ways, and some people use the juice to add a little flavor to their fish dishes, or even to go on top of their salad. Unfortunately, juicing a citrus fruit isn’t easy, and you can often get more juice on the floor than you do on the desired food. 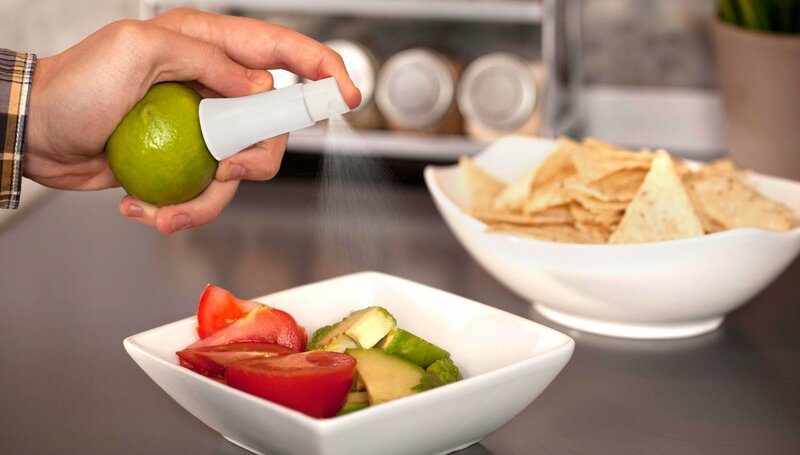 So, why not give the Citrus Juice Sprayer a try? This gadget inserts into the fruit itself and comes complete with a handy nozzle and pump head that will allow you to spray the juice directly onto your food. If you’re a fan of sushi, then there’s a high chance that you’ve tried to make it at home on more than one occasion. You might have gotten rice all over the floor, you may have laughed at your own rolling technique, and you may have even given up entirely. However, you don’t have to give up if you have the Sushi Bazooka in your possession. This incredible contraption will do all of the hard work for you, and will create perfect round sushi rolls for you to enjoy. Are you looking to add a little more pizazz to your cooking technique? Well, it’s all about these awesome gadgets you never knew you needed. Which one will you try out first?